Which company distributes products with this barcode? What is the address and contact details of this company? Where can I find all companies with a valid 520 barcode? i520.gr is the international electronic directory, a barcode registry and validation service, created by 520 Barcode Hellas which provides information about all companies using product (barcode) or location identification codes with a prefix of 520. The i520.gr database is updated daily and always provides the latest information for companies and their respective numbers. In an easy search process, you enter the number of a product barcode and all the data of the user company is displayed (as well as, if any, product information). You may also browse for a company by typing its name. Now available as an Android application. 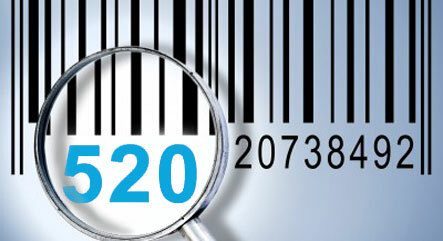 i520.gr enables the international visibility of the Greek barcodes, contributing thereby to the promotion of Greek enterprises, since it is the sole web based source that provides reliable information for all valid 520 barcodes. The accuracy of i520.gr data provides a tool for the validation of 520 numbers at an international level. Copyright © 2002 - 2019 "520 Barcode Hellas"